By using this site to find out more about about neighborhood covenants, you agree to the following disclaimer. The information displayed on these web pages is not legal advice. The purpose of presenting this information is to increase interest and awareness of protective covenants that exist on most lots in the Hampton neighborhood. While due care was employed in compiling and presenting this information, it remains an all-volunteer effort of homeowners and not legal professionals. Therefore no legal significance or guarantee of accuracy is expressed or implied. All information presented here was gathered from public and/or publicly-accessible records. By reading and using the information on this website you agree not to hold the Hampton Improvement Association, its board members, representatives or volunteers responsible for any use or misuse of this information. John Ridgely, Jr., the last owner of the Hampton Mansion, began developing the Hampton community in the 1930s. Mr. Ridgely had a vision and purpose for the development of his land: maintain the gracious, quiet qualities of country living with gracefully designed homes thoughtfully placed on spacious lots. 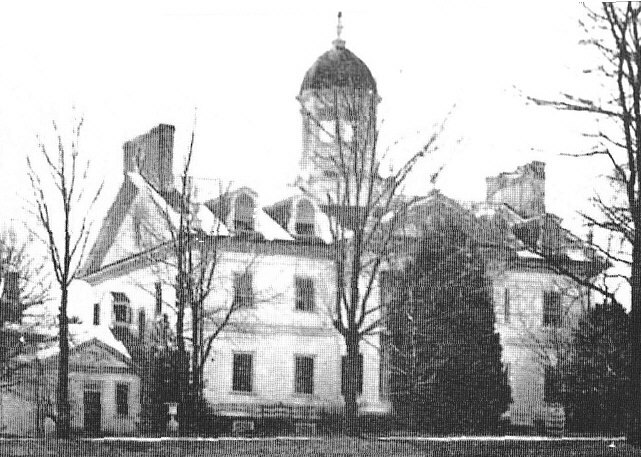 This style reflected the Ridgely tradition of preserving the open, park-like setting as an extension of Hampton House. Mr. Ridgely’s original design gives the Hampton community its unique appeal, and superb property value. In order to preserve this quality-of-life for his new neighbors, Mr. Ridgely established protective covenants that have guided Hampton’s development ever since. These covenants are thought to be modeled on rules created by the Guilford neighborhood in Baltimore City. Because Hampton covenants protect our quality-of-life and property values, it is critical that all Hampton homeowners are aware of the rights and responsibilities imparted to us by our covenants. Over the years, multiple subdivisions of Hampton were established. The original plat maps and their source deeds for the conveyance of these subdivisions were recorded in the Baltimore County land records office. Mr. Ridgely’s practice was to attach protective covenants to every lot contained in each plat at the time the subdivision was created. He engaged more than one developer. In the days before word-processing the attorneys as well as the county record keepers took shortcuts in recording land records. They often resorted to the expedience of making brief references to “source deeds” rather than retyping covenant language each time a property was transferred. And with each major subdivision, Mr. Ridgely introduced slight variations in covenant language and restrictions. Despite the complications introduced by antiquated record-keeping methods, almost every lot has protective covenants attached to its original deed. Hampton covenants “run with the land” meaning they are attached to, and benefit the land in perpetuity. Even though you may not be the original purchaser, the covenants continue to bind your property, and will be binding on all subsequent owners. Sometimes Hampton deeds do not specifically reference their protective covenants. Nevertheless the covenants are recorded in the county land records, and therefore property owners are not relieved of the rights and responsibilities imparted by the covenants. Although different covenants may bind each plat, the various covenants generally share certain restrictions. For example, Hampton covenants establish specific setbacks; exclude commercial land use; limit fencing, garages, outbuildings or other structures and prohibit multi-family dwellings and the subdivision of lots. For specific information, consult the covenants that apply to your property. For nearly 50 years, private property owners and the Hampton Improvement Association have collaborated, first with John Ridgely, and subsequently with the developers and homeowners, to protect the neighborhood from covenant violations and the erosion of our property values. Today, preservation of Hampton covenants is facilitated by property owners working together through their community association. The HIA Architectural Review Committee guides homeowners through the building review process to preserve the high standards which protect property values. The process provides a forum for an open dialog among all homeowners affected by potential change and transition. Hampton’s property values are rising as land availability diminishes. There is an increasing temptation to ignore our original neighborhood development principles. Fortunately our covenants, along with existing zoning laws, can protect our quality-of-life provided our community as a whole chooses to respect and enforce these rules. Every homeowner should be aware that, even if the covenants are not specifically listed in the homeowners deed, there will most certainly be some reference in the deed that will lead to the “source deed covenants” recorded in the Baltimore County Land Records. Click here for a map of Hampton. A group of neighbors have volunteered a great deal of time and effort to research and clarify the often-confusing issue of covenants for Hampton homeowners, developers, real estate agents and prospective buyers. The information presented on these web pages is not legal advice. In the course of our research we found some inconsistencies. While due care was employed in compiling and presenting this information, it remains an all-volunteer effort of homeowners and not legal professionals. The only way to ensure complete accuracy of this information is to seek legal counsel and/or search your individual property title. Before you proceed to use the information provided in these pages, please read the disclaimer at the bottom of this page. Look up a Summary of Your Plat and Covenant Information. By viewing this map you agree to the disclaimer at the bottom of this page. 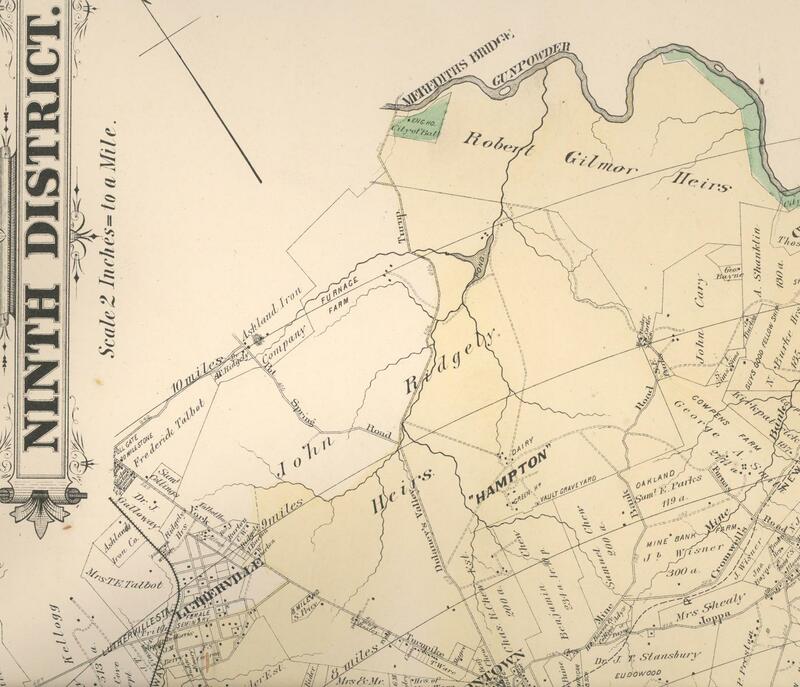 Ridgely/Weisheit property surrounding Stonenbarn Ct.
John Ridgely Jr. plats along St. Francis Rd. Maryland Tax Assessment website for information about individual properties.